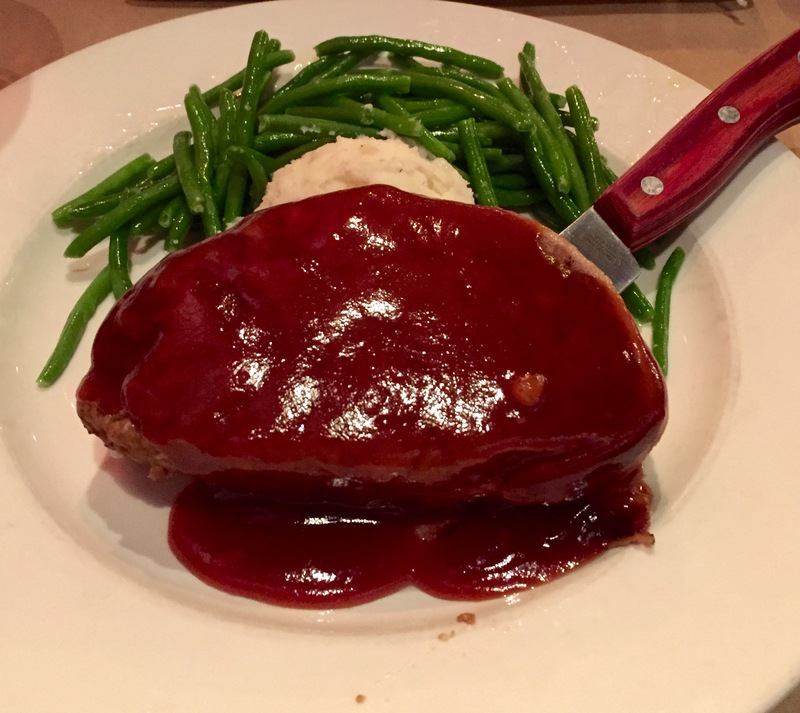 Last week we asked our members to tell us where to get the best meatloaf and mashed potatoes in SE Wisconsin. We received a bunch of suggestions but three places were mentioned the most. We went to those three places. Unfortunately Toad Hall in Racine was sold out of meatloaf on our evaluation day. The two other places served flawless large slices of meatloaf. The mashed at both were different but remarkably good. It came down to the sauce. 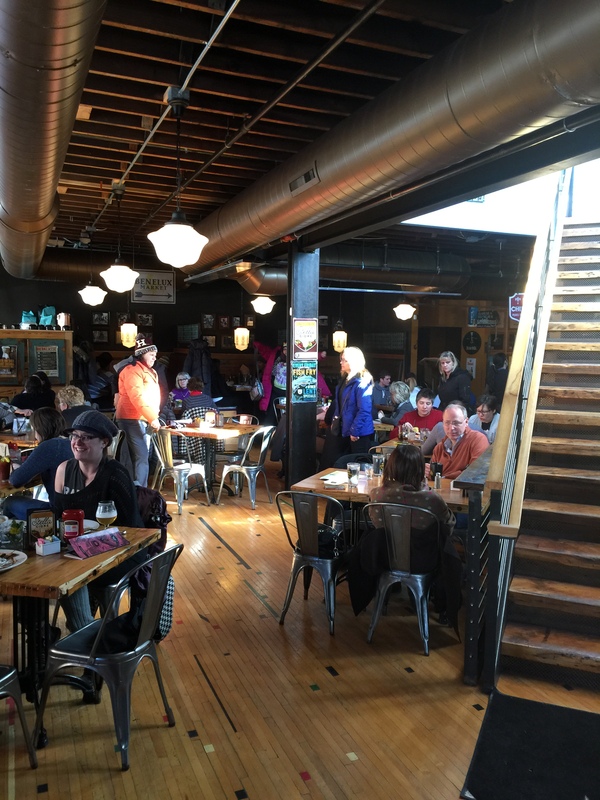 Our favorite meatloaf was served by Café Benelux & Market, 346 Broadway, Milwaukee. 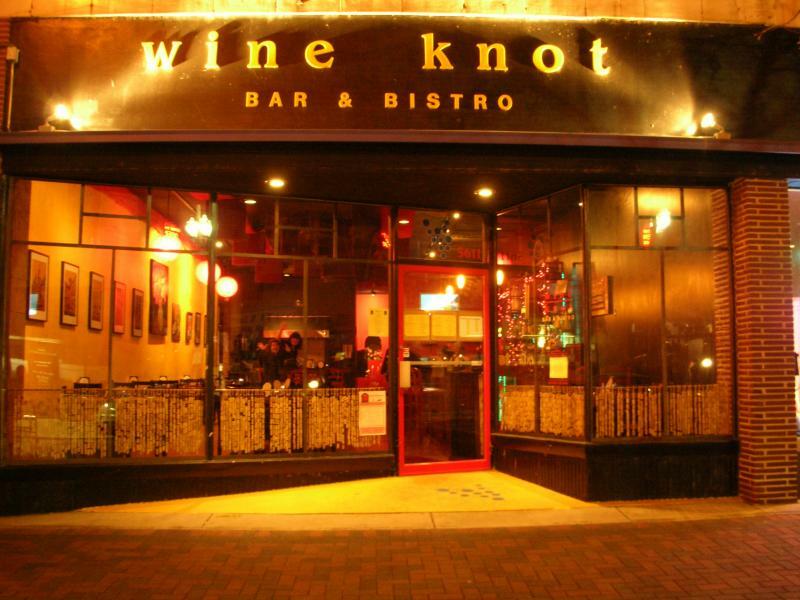 This restaurant is open from early morning until late night in the Historic Third Ward. When we arrived there was a half hour wait but the host took our phone number and texted when the table was ready, which was very efficient. The wait staff was personable, always present but never annoying, and there was almost no waiting for food or drink. 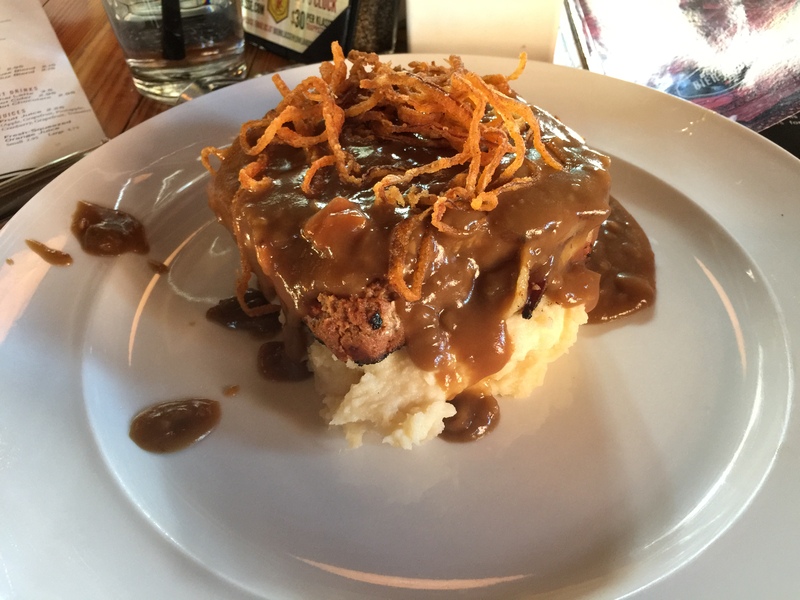 The “bacon-wrapped Benelux meatloaf” is $14.95 and comes with white cheddar pureed potatoes, ale gravy, and topped with thinly sliced French-fried onions. The meatloaf was a large portion resting on some very hearty yet perfectly flavored bed of mashed potatoes. You could taste the white cheddar slightly but don’t be afraid that they are messing with good thing, all in all it just tasted like good mashed potatoes. The meatloaf was flecked with tiny bits of carrots and red pepper, but mostly consisted of ground meat. It was wrapped in a strip of bacon that was crispy but not too crisp. Where Benelux won this meatloaf battle was with the ale gravy. Being a gravy girl, I would pay good American dollars for this gravy recipe. There was enough gravy for each bite and trust me you want to taste it in each bite; it is tremendous. If you were raised on meatloaf with a ketchup sauce on top and refuse to consider meatloaf without tangy topping, then Brian’s meatloaf is for you. No gravy here, just a large slice of perfect meatloaf covered in the sauce that I would describe as upscale cocktail meatball sauce. The meatloaf must have been two inches thick, it was a huge portion wrapped in bacon. Like Benelux there were no distracting herbs, which can sometimes be thrown in by chefs to put an annoying signature on this classic dish. The mashed potatoes are delicious yet taking a leap from tradition by adding onions and boursin cheese. (No worries onion-haters, there were absolutely no chunks of onions, perfect consistency). Some of our party preferred these potatoes because of the flavor. At Wine-Knot the meatloaf dinner also came with crisp green beans to get your veggies in. We agreed that the red sauce covering the meatloaf was great, but the ale gravy at Benelux was better.